The 2014 Audi A6 sedan and the 2014 Audi S6 sport sedan received the highest ratings possible in U.S. government testing achieving an impressive 5-star rating for crashworthiness and safety. 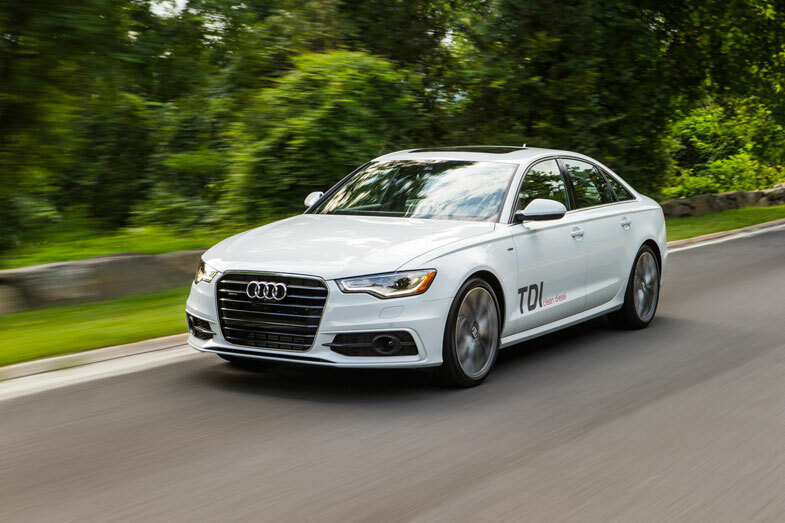 The coveted 5-star rating was achieved by both the A6 and S6 based on their outstanding performance in the National Highway Traffic Safety Administration’s (NHTSA) New Car Assessment Program (NCAP). The 5-star rating was awarded for frontal, side and rollover tests resulting in the 5-star overall rating. The A6 and S6 are the only German mid-sized luxury sedans to be awarded 5 stars in all categories. The NHTSA 5-star Safety Ratings System was designed to provide consumers with information about crashworthiness, crash avoidance and other areas that help improve the safety of new vehicles beyond what is required by statute. The A6 and S6 are two of Audi’s most innovative and technologically advanced models on the road, offering advanced safety systems and other technologies. – Impact protection, including reinforced high-strength steel and aluminum, reinforced bumpers and a rigid occupant cell as well as relying on extensive crash test modeling contribute to the 5-star rating.